I’m a big fan of Blade and Rose, we have reviewed their Rainbow top and leggings in the past and also held a giveaway for the Alien set. I was very happy to be offered their Halloween set for Lucas to review as well as being able to offer one lucky winner a Halloween set too! Blade and Rose create unique designs and having had the Rainbow set for a few months now, I can certainly vouch that the quality of the fabric is both durable and functional. They also wash well and don’t show signs of ageing. 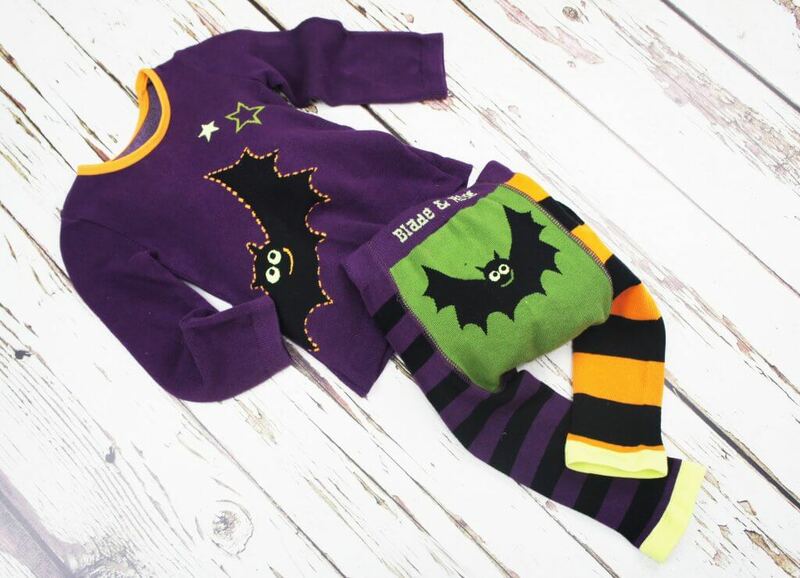 I absolutely love the Halloween set, it is so adorable with its fun bat design, perfect for autumnal outings and Halloween. I also can’t not mention their Christmas set, another cute design with the leggings having spots and stripes with a penguin on the bum. The knitted top has traditional jacquard detailing on the sleeve and a penguin on the front of the top. Cute little outfit, love the colour combination! Perfect with Halloween coming up! what a gorgeous little outfit, love that it is so colourful and bright! What a lovely outfit, he looks adorable in it. What a cute little outfit. This is a super cute outfit, fingers crossed! these are great! -pop little bat ears on and they are great for halloween too! Love the colours. I have yet to discover their range. If I tried to win this and put on a outfit on the cheetah,well…. I will say “Good Luck” to whoever wins this giveaway! 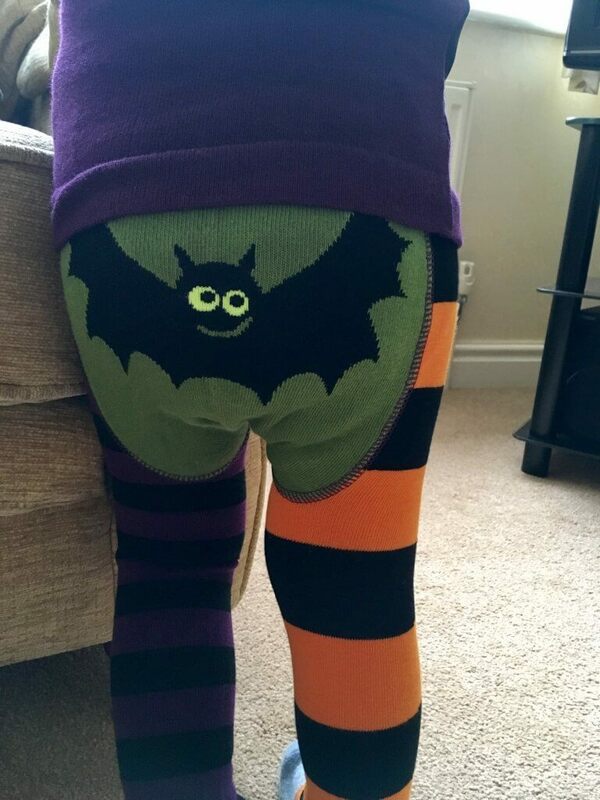 Look at that little bat bum! So cute. Absolutely love these leggings and the Halloween set is fantastic! How adorable. Nice to see something different! What a gorgeous little outfit! Nice prize. Halloween is an event which has become more acknowledged. The set is so funny and would be perfect for my nephew. Our grandson would look super cute in this! I am a big fan of Blade and Rose and this outfit is just adorable. Really cute outfit! Thankyou for the great giveaway! I love that set. So cute! 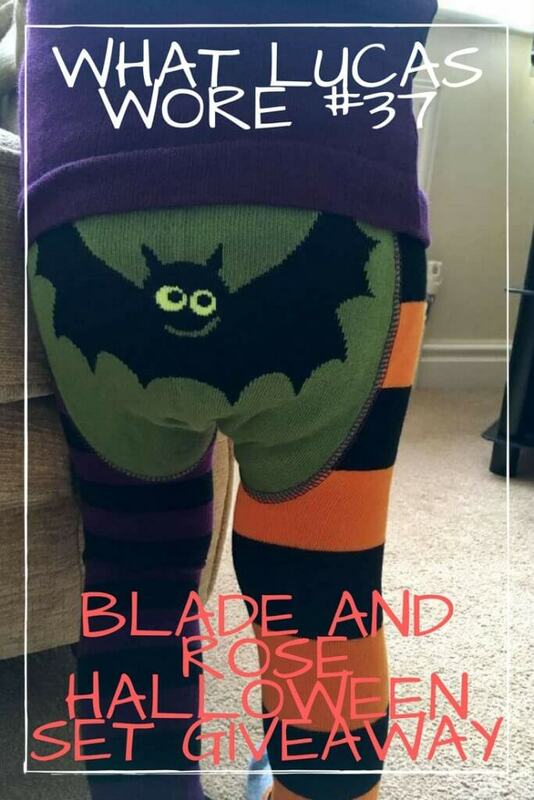 Love all of the Blade & Rose collection, this one would be perfect for my little girls Halloween party. How stylish. Great outfits and they look really comfortable! The bat on the bottom is too cute! What a great prize! Thanks for the competition. Good luck everyone. So sweet and warm too, very nice. Super-cute outfit! Lots of other lovely designs too. This outfit is beautiful i love it! This is a cool costume, it would look great on my little girl! Oh wow this is awesome, where is it sold? I would love one of these for my baby Grace for Halloween, it is a fab outfit! OH MY GOSHHHH These would suit my little gabriel so well! 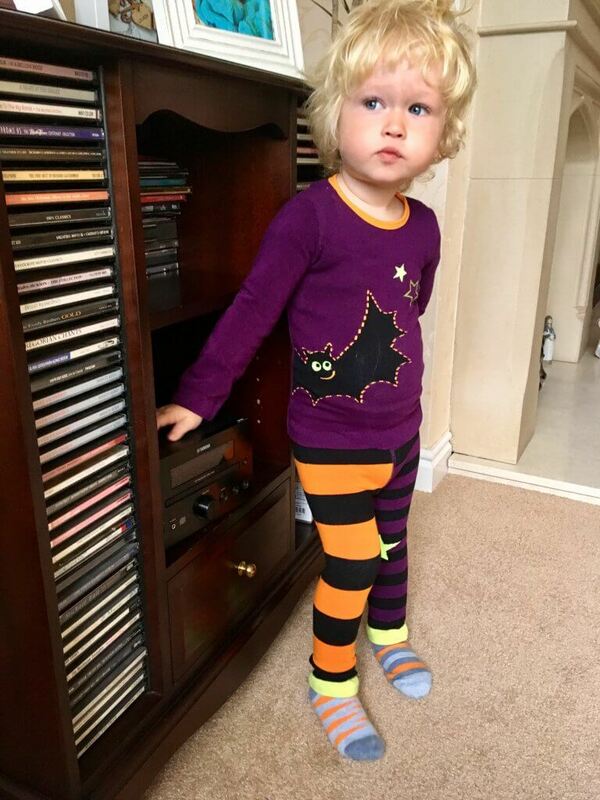 He lives in leggings, adorable for all year round not just halloween!